An administrative offence report was filed on him. 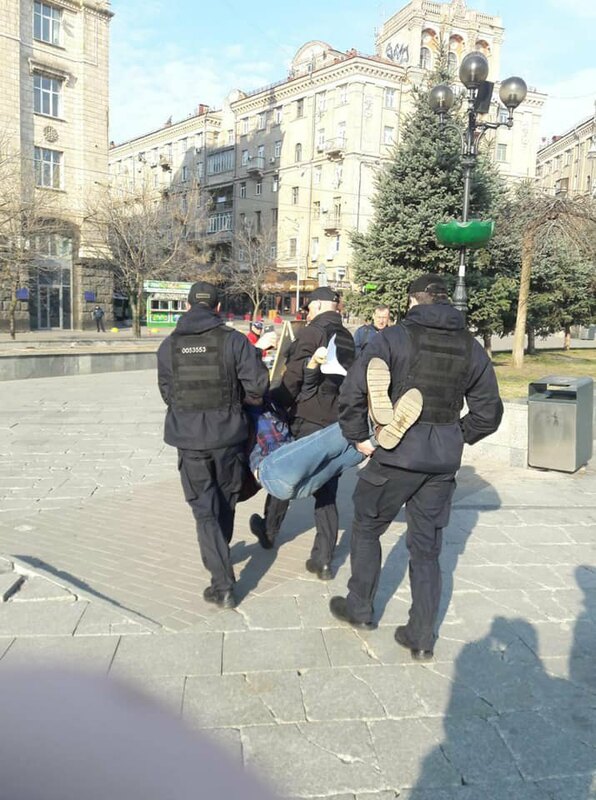 Activist Leonid Ovcharenko was detained by police in Kyiv's Independence Square on 7 April as he was distributing leaflets critical of presidential election frontrunner, comedian Volodymyr Zelenskyy. Police said that he refused to go to a local station, therefore officers used force against him. Police insist that he could not campaign until the Central Electoral Commission officially announced the results of the first round of the presidential election. The Vidsich (Rebuff) public movement, of which Ovcharenko is a member, said the leaflets contained "information who Volodymyr Zelenskyy really is and what consequences his presidency may have for Ukraine". It denied any campaigning motives. Ovcharenko was released two hours later. An administrative offence report was issued on him.